This story gives a look at the daily life of a pair of Alice twins and their older brother who has a sister complex. Them eating meals, getting into fights, playing with friends... Would you like to peek at the heart-full daily life of the cute Alices? There is an anime series beyond that which is known to viewers. It is a series as small as its main characters, and as short as any three minute video. It is the middle ground between promotional videos and full length 24 minute episodes, between hand-drawn manga illustrations and computer animations, and it lies between the whites of one’s eyes and the screen of one’s monitor. This is a series of super deformed characters. It is an art style which we call chibi. Next stop, the Chibi Zone! You notice there are twelve episodes, each comprising 3 minutes and 41 seconds. However, upon viewing several episodes, you notice each episode has a 30 second opening song, followed by two minutes of actual animation and story, then a 30 second ending song, and finally 41 second of closing credits. Disappointing, I know. For the story, you will watch the daily lives of twin sisters, Rise and Airi, and their older brother who has a sister complex. You watch their daily life occurrences include: taking care of his sick sister, cooking meals, going to festivals, wearing a maid uniform, competitions, and opening a cafe. In the end, though, it’s mostly about the older brother being surrounded by many cute girls, such as his twin sisters, the sister’s friends, and the female manager. Still, you realize it’s far too short and boring, even for the Chibi Zone. As expected in the Chibi Zone, you realize that every character is a chibi with their classic characteristics: minimum facial details, large head with a tiny body, bright and vibrant colors, and wearing simple clothes with minimum details. The bright background designs compliments the chibi characters by appearing cheap and lacking details as well. And finally, the animations will sometimes be stiff and jerky with many shots jumping from one scene to the next in quick succession. You, of course, notice that the characters sometimes become their non-chibi forms, but disregard it as it’s very generic looking. You hear two songs both of which are J-Pop in origin. The opening song contains many chibi characters yelling, “Say Hi!” in a upbeat, loud high-pitched voice, and the ending song contains several still shots of characters in various clothes and poses. Along with those sounds, you also hear the fine voice acting, and many random sound effects for every action the characters perform. You will watch undeveloped, forgettable, two-dimensional characters with no background stories and little personalities talking, eating, and frolicking to the end of every episode. You realize the older brother’s only redeemable features are being kind and cooking meals, while the girls are all extremely cute and like the older brother very much. You also realize that there’s a lack of investment and attachment to these characters because the series is too short and throws them into random mundane events and situations that you could care less about. I hope you enjoyed your time in the Chibi Zone because I didn’t. 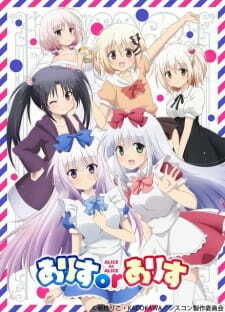 Hopefully, the Chibi Zone will return under a better anime than this one. I still stand by what has been said 2 months back, and this proves that some studios are STILL raking in towards the short-form format, for people like us whom have some or too much to watch, and then there are the horrible, untouchable ones (like this one). There's no story, the manga adaptation just makes the anime look trash. The characters, unappealing as they are, they DO at least serve their purpose in the realm of imoutos and such. The art is good, THE ONE AND ONLY good point of view, I'll give the studio responsible for this for that. And OMG I absolutely cringe at the music, the OST, fine as they are on their own, but it's really unbearable, just skip it entirely. Still though, heed my warning, DO NOT touch this horrendous trash, you'll save an entire episode and a half of your time watching something you'll love instead. There is an art form to time constraint. With limited time, you're given very limited space in which you're able to tell a story, making it so that every minute you're given is valuable space to at least make something entertaining. Or you can waste everyone's time and make something like this. There's honestly not a lot to say about 'Alice to Alice'. The show based around the original manga's 4-koma style is in essence, three minutes of fluff totaling to about one full episode of any other show, detailing basically nothing as you're dragged along from one scenario to another, varying from maid cafes to idols, rival cafes, new years, bathhouses, the typical anime fanservice fluff that populates and plagues many a show in order to give it that familiarity of overused tropes. Though that may be the rough plotlines for a myriad of the show's episodes, the show actually has no actual plot structure as things just...happen, and things...exist, to put it frankly. Trying to understand why some of the girls have nekomata tails or why dust bunnies are floating balls of fluff that are capable of housework is the kind of thing that's commonplace in this show and never get explained because why bother when you've only got three minutes for a single episode? As expected, characters mean nothing except for being puppets on a stage, the only male character is literally referred to as 'Nii-san' for the entire show as he actually does not have a name, and aside from that little fun fact, no one actually has any sort of memorable qualities. So, when culminated altogether, what do we get? A below average piece of medium that's worth less than the money used to make it. Sure it scrapes by by being cutesy and having a good chunk of fanservice moments (especially when your titular twin characters both dress in maid outfits as normal attire), but I highly doubt this will go down in history at being memorable in ANYONE'S list of shows. It's pretty harmless I admit, but it's so lacking in anything worth mentioning that it's really not worth the half hour it eats up. That Brother Does Go Around, Does He?